Samsung will be launching a flurry of phones in the next few months, so leaks and tips around the same will abundant. 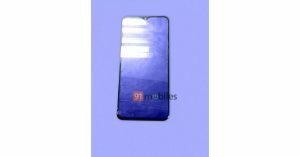 The leaked image of the Samsung Galaxy M20 has appeared on 91Mobiles. Samsung Galaxy M20 is the first smartphone releasing as part of the new M series of Samsung. According to the image Samsung will use a waterdrop-type notch for accommodating the front camera and sensors. This would also increase the overall screen space of the phone. In the image, it shows that the Samsung Galaxy M20 will have large curves on the side. Furthermore, it has a more premium look than the Galaxy J and Galaxy On series, which it would replace. 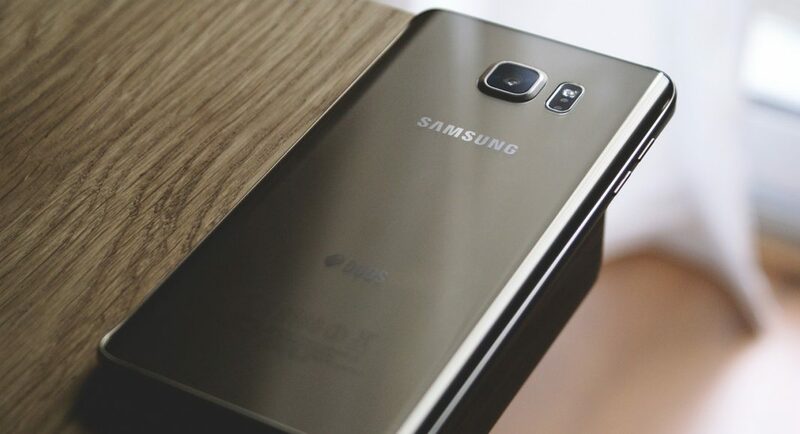 The backdrop of this is that Samsung is facing a lot of pressure from its competitors. Its target is to revamp its portfolio by March, 2019. There is a small cut-out on the top of the display screen that is meant for the selfie camera. As indicated it would probably have a high screen-to-body ratio. The first water-drop notch was introduced by OPPO and the trend has been followed by several Chinese brands since then. For Samsung it is the first water-drop notch phone to be launched and it was somewhat unexpected. A few leaks have revealed that the Samsung Galaxy M20 is coming with the Exynos 7885 mid-range SoC and 3GB RAM. According to sources, the chipset will have 8 cores and 1.6GHz clock speed. Another source has said that the smartphone will have 32GB internal storage and the display will support 1,080×2,340 pixels resolution. It will also run on Android 8.1 Oreo software. According to reports, the Galaxy M20 and Galaxy M10 are already under production. They are being produced in their Noida plant as the Make in India initiative. The launch date hasn’t been declared yet, but it is expected to launch somewhere in early 2019. Samsung has also released the teaser of its Infinity O, Infinity U and Infinity V displays. Will Samsung bring them out in the M series, too? We shall get to know in some time. As of now, the M series will add to the water-drop notch smartphones along with the unique features Samsung already has. Once the phone is released it would be interesting to see what effect does it have on the buyer’s demand and can it beat the rising Chinese smartphones market.